One of the saddest things I see done to a home is the construction of a large and unsightly home addition. Many homeowners focus on the inside of the home addition during the design phase and pay little attention to the home addition exterior design. As a result, they often end up with a home addition that looks like a large tumor hanging off the side of the main home. In some cases the tumor, or home addition, is larger than the house itself. Though the finished home with its attached addition provides more living space, it often provides a negative return on investment and can make the home more difficult to sell. Buyers care a great deal about the home exterior, and consequently want to purchase a home that offers style and symmetry. Curb appeal is half the battle for attracting home buyers. Seeing a home addition exterior design that fails to meld into the existing home can detract from a home’s overall curb appeal. 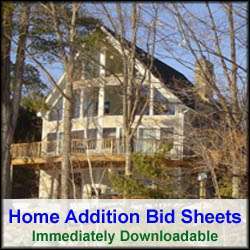 If the home has any significant historic value in the community, or there are covenants associated with the property, the municipality or home association could also have issues with the home addition exterior design. 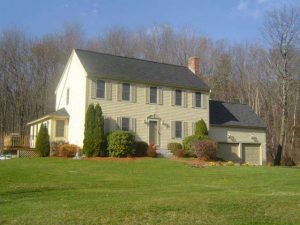 Consequently it is important to make sure the town and any home association that the property is associated with are in agreement with your home addition building plans prior to starting construction. Otherwise you could find yourself with a cease and desist letter and/or in a courtroom. Make sure the home addition size is of the proper proportion with the rest of the home. For example, don’t build a home addition that is actually larger than the main home. A good rule of thumb is that the home addition exterior length should not be more than 30 to 40 percent of the main home’s length. Also consider recessing the home addition from the front of the main home. This way the main home still represents the main visual from the curb and the home addition looks like an accent piece to it. Alternatively you may want to consider installing the home addition towards the back of the home so that the front of the home is not changed in appearance. Ensure that the home addition exterior siding and colors dovetail nicely with the existing home so the home addition looks like it was always part of the original home. In some cases you may want to use an exact match of house siding and color, and in other cases you may want to select a house siding or color that contrasts nicely with the rest of the home. Finally, use similar roof lines that have the same roof pitches, soffit depths and roof eave overhangs. Also use shingles that match the existing roof. In some cases it may make sense to re-shingle the main part of the home when shingling the new home addition. Moreover, carefully consider roof dormers. Not all dormers compliment a roof. Think symmetry when planning your home addition exterior and roof lines. The home addition roof should complement the home’s main roof.